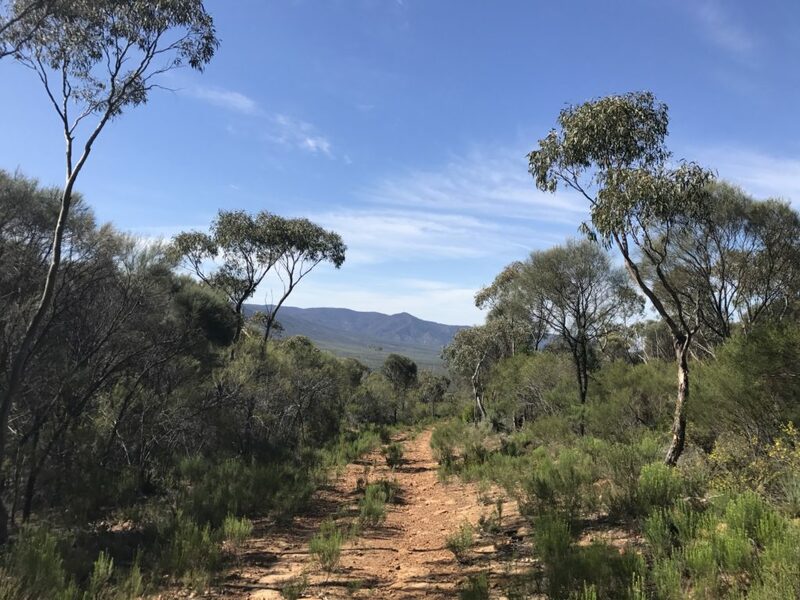 This will be a free (accommodation, food and park entry at own expense) social running weekend based out of Melrose Caravan Park, with outstanding trail running in Mount Remarkable national park – South Australia’s best kept trail running secret. We will be based in Melrose Caravan Park. Cabins are now full but campsites are available. Book your accommodation by contacting the park. We will be emphasising self-sufficiency on these runs and sticking to large groups. The trails will not be marked. As it is a social run there is no timing, aid stations etc. The trails are both beautiful and remote, without public vehicle access. Running is at own risk – prepare accordingly. On Friday Night, 23rd of June we will be meeting at the North Star Hotel in Melrose for dinner at 8PM. Otherwise, if you don’t catch us that night, you can meet us the following morning at the carpark out the front of the North Star Hotel. Dinner has been booked for the 43 who preordered. 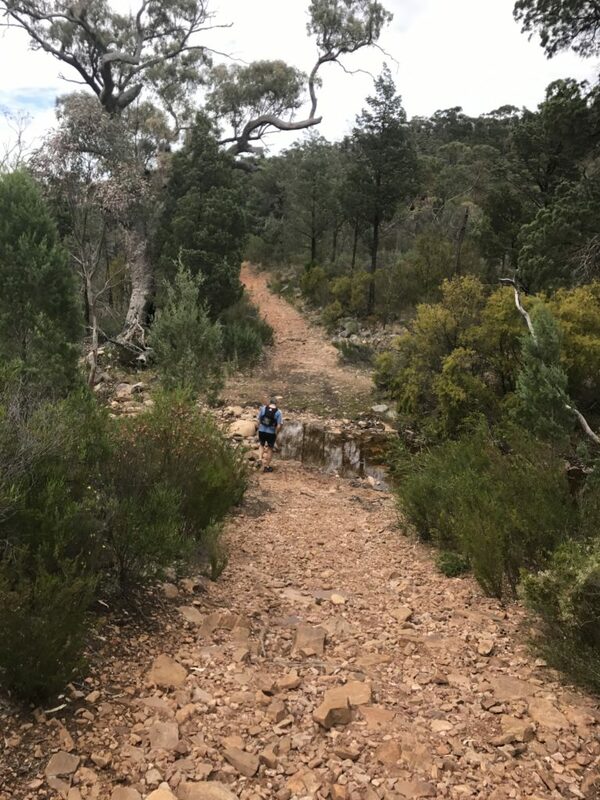 Blue Gum Flat to Melrose – 38KM, with carpooling to the start. Meet at the carpark out the front of the North Star Hotel at 7:00AM, then drive (carpooling recommended as you will need to pick cars up later!) to Blue Gum Flat. A vehicle entry fee applies for entry into the park – $10. This is payable online and should be sorted out before we head off and while we have sufficient phone coverage in Melrose. 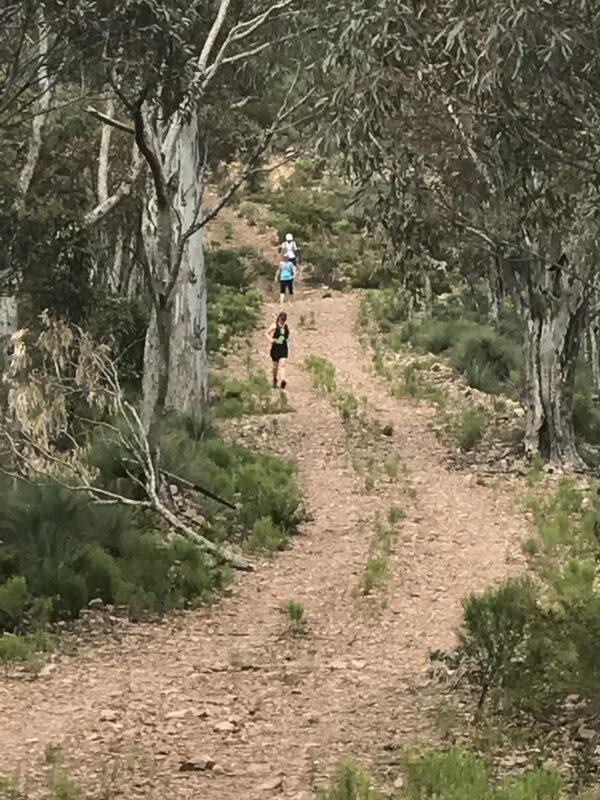 “Faster” group – led by Robyn Hansen and Dej Jamieson – if you tend to finish in the top 50% in trail races, join this group. “Slower” group – led by Murray Waters – if you tend to finish in the bottom 50% in trail races, join this group. Mt. 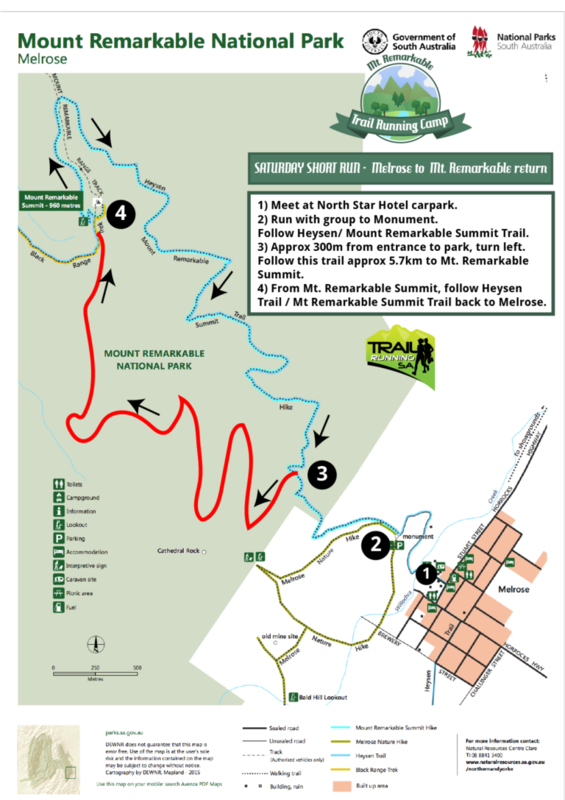 Remarkable Summit – 13KM, starting and finishing in Melrose. The run leader will be Alan Clarke who is race director for the King of the Mount race on this course later this year. Alan will also be doing some basic marking of the course. Starting at the carpark out the front of the North Star Hotel at 8:00AM. Expect to take 3-5 hours as this is still a good hill. You will need to bring sufficient water and we recommend sticking with a group. On Saturday Night, 24th of June we will be heading out for dinner at the Mt. Remarkable hotel. A booking for 52 people has been made for 7:30PM. 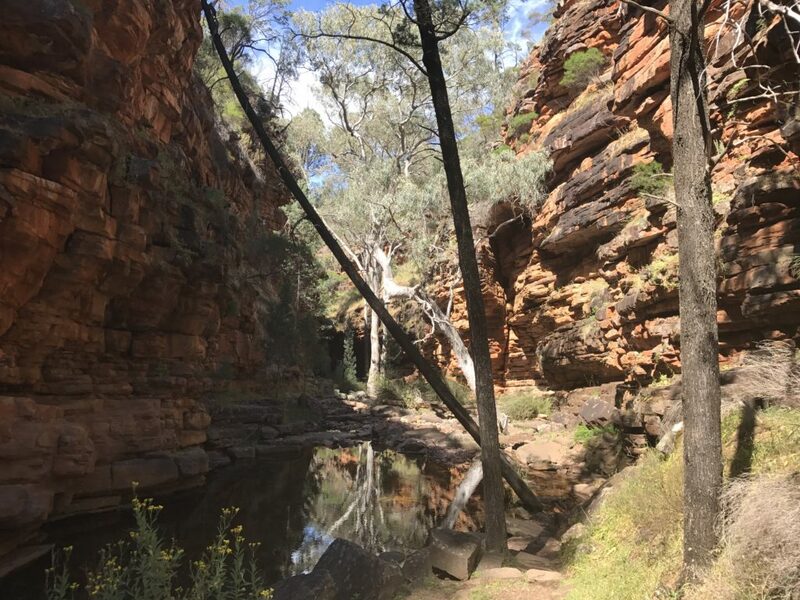 On Sunday, 25th of June we will be joining for a laid-back social 12KM loop of Alligator Gorge. 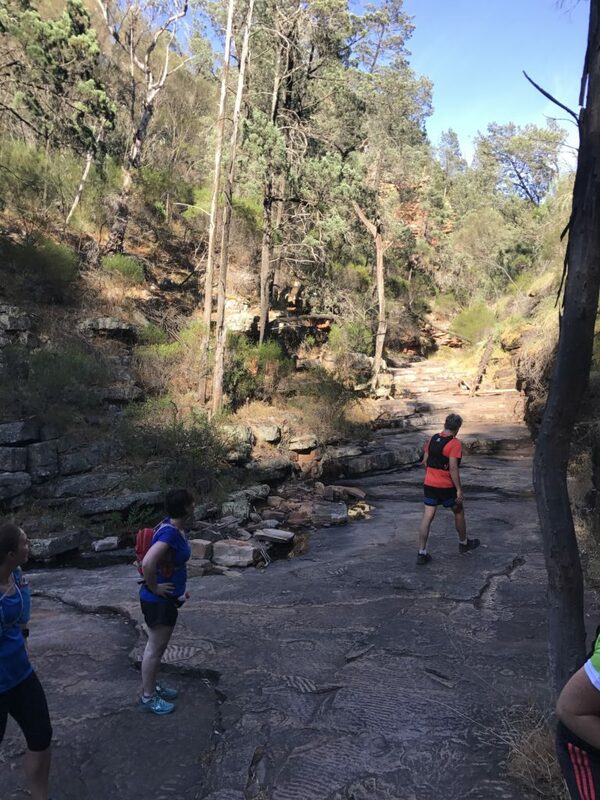 Meet at the carpark out the front of the North Star Hotel at 7:00AM, then drive to Alligator Gorge car park, in time to start the run at 8:00AM. After that we will be heading back to Adelaide. Resilience and common sense – this is an unsupported, group, social run. Identify your group, stick to the group you are in, look after the people you are running with, know where they are at all times and don’t leave them behind without a plan. Own snacks/etc for the weekend. The usual supplies for self-sufficiency when trail running – a camelbak, snacks, first aid, mobile phone etc. A spare mobile battery or a charged, tested external battery pack and cable. Having a fully charged mobile phone is essential if you unintentionally spend longer in the park than intended. Mobile coverage in the park is patchy and sporadic. In some places you can get coverage by walking to a higher point. A printout of the DEWNR official park map. 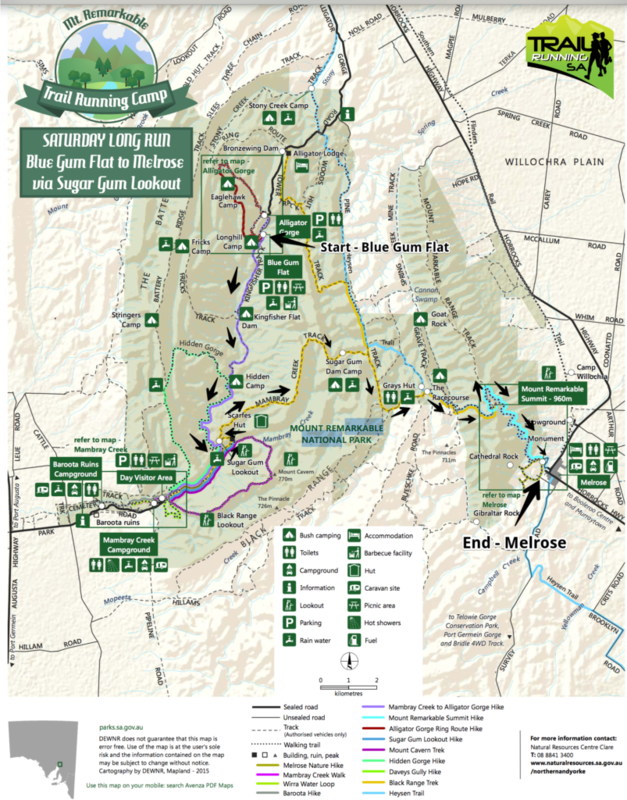 A printout of the Saturday short run map or Saturday long run map. A waterproof bag (e.g. sandwich/zip lock bag) for your maps. Install the Galileo offline maps app on your phone before you come (iphone link android link). At dinner on Friday night you need to approach Murray, Claire or others and we will show you how to load the maps into your phone. At least 2L of water to carry – DEWNR recommends water purification tablets for treating rainwater if you are doing the 38K run. 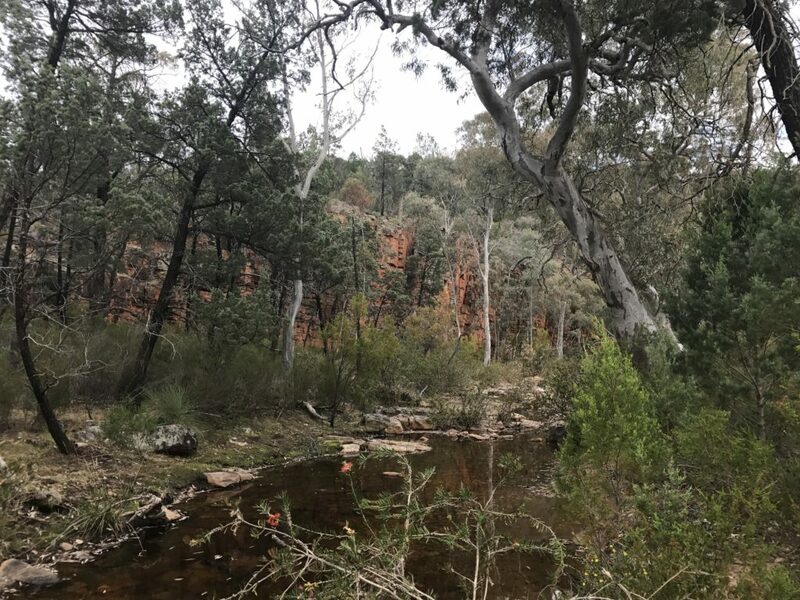 Vehicle entry fee for Mt Remarkable national park will be required – payable online. Space blanket, compass, charged/tested headtorch and whistle if doing the 38K run.